Good solution for big rooms to ensure that students can hear the Teacher. The purpose of this functionality is to amplify a teacher’s voice so that everyone in the classroom or auditorium can hear clearly. In Classroom Audio configuration, sound collected by the Primary marker is amplified by any speakers that are connected to the system (either connected to Swivl USB port or a Secondary marker’s audio jack). Both flows work with a C Series successfully connected to the mobile device. Both flows work with the Swivl app opened regardless of whether recording has been started or not. Swivl C-Series Base Firmware: 10.02 (update via mobile app and check on Settings screen of the app) Not supported for Gen2 Robot. With the C3 or C5 Swivl, any analog connection speaker can be connected to Secondary marker audio jack using 3.5mm male to male cable (usually included with the speaker). Some speakers have a rechargeable battery which will allow you to place it anywhere in the classroom — in a small group, in the back of the classroom, or directly near the student who needs it the most. If you are planning to have a single central speaker near the Swivl to project the sound collected by the Primary marker, you can use a standard USB speaker with an A-type USB connector (usually part of the speaker). Just connect the speaker plug to the bottom of the Swivl base (large USB connector next to the power port in the back of the Swivl base). The size and quality of the speaker is up to the requirements for each individual or classroom need. There are many speakers and you already might have some in your classroom, school, or workplace. We have tested a couple of speakers which work pretty well. Speakers connected to Secondary markers: Student can control volume of the speaker connected to the Secondary marker by short-clicking Up/Down buttons (8 levels from min to max). If the speaker has its own volume controls, they can be used instead. Speakers connected to Swivl Base: In this scenario, the teacher can control volume of the speaker connected to the base USB port by short-clicking Up/Down buttons on the Primary marker (8 levels from min to max). Swivl will remember these volume settings in the future for both configurations through power-cycle. In Classroom Audio mode, when no mobile device is connected to Swivl, Swivl’s Power LED will display Green with occasional blink. In this mode tracking will also be disabled. Make sure to connect Swivl base (with primary marker), all secondary markers, and battery based speakers to charge overnight. 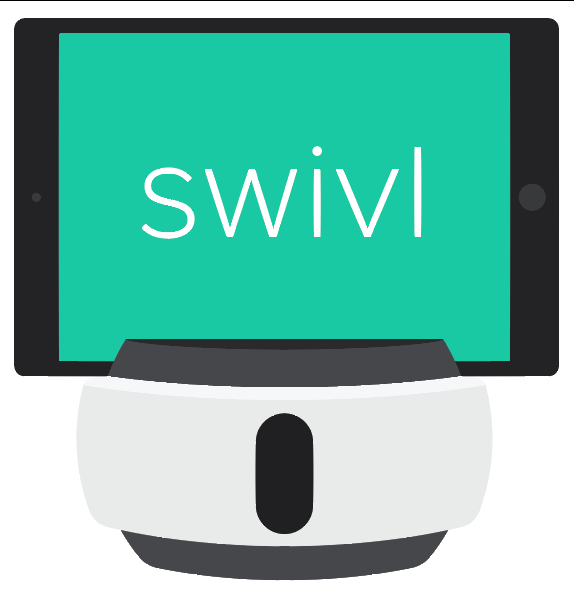 You can find directions on charging Swivl equipment here. You can use a standard Apple headset with microphone built in and connect to the marker or a lapel mic like this one here.